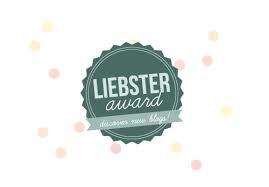 I am so proud to have been nominated for the Liebster award. It’s a big honor and I want to thank everyone involved in this process. Soon everyone around the world will be in tune with my past life. It’s gratifying that people are responding to what I’m writing. It’s taught me that forgiveness really exists in the world. 2. Do you believe that it is better to have loved and lost than to never loved at all? Yes, because you need to find the right person. Once you do, you will never look back. 6. What is your favorite book? The Bible! It’s helped me with my panic attacks. 9. If you could marry a movie star would you? Who? Yes, Rachel McAdams. She’s an amazing woman and she has natural beauty!Movie stars tend to forget where they have been. If I have to read to her like the role she played in THE NOTEBOOK with Ryan Gosling, I would read to her so she wouldn’t forget where we’re GOING…. 10. What is the most important thing life has taught you? Never Quit!! It’s never over till it’s over. I may get knocked down but I will get up again and again. I’ll get up till I get it right and be me! Congratulations sir, you´re going to make wordpress run out of awards, I think I´ve read 3/4 of your post by now, good stuff. It´s not over until the fat lady sings. A fellow Liebster nominee- you’ve got a nice little place here. I shall visit again.